Would it be possible to make Google finally recognize BotB as a HTTPS-secured website? Even the new search results link to the unsecured version of the website and it's pretty annoying. Although some say Google algorithms like to rank HTTPS websites higher on the search results page and give them more priority and visibility, my main goal of raising awareness of this concern isn't to get new people find out about BotB but merely to fix the nuisance of having to manually switch to HTTPS every time I search something from here. 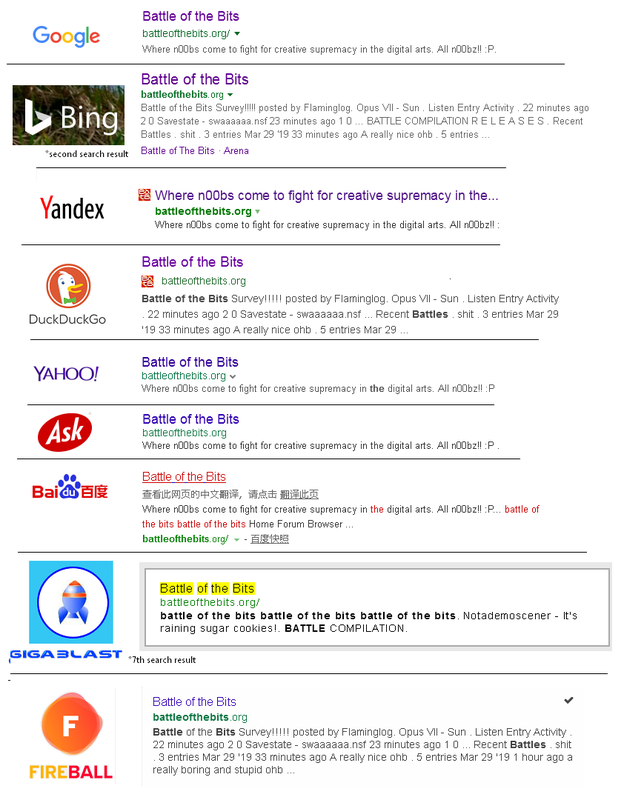 Search queries for "battle of the bits" (without quotes) across various search engines. None of them link to the HTTPS page. Also tried bunch of other search engines but they don't index HTTP/HTTPS pages individually. Tried three different TOR search engines but got no results. Battle of the Bits does not operate in deep web.